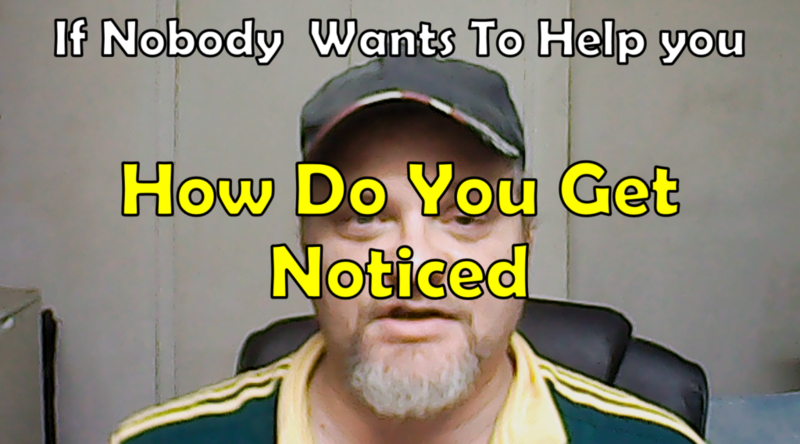 So yesterday I spoke on why people don't help you snd today I want to flip the script and talk about How do you get noticed. I'm really covering the opposite of the problem you may have. In this segment I will give you the key solution for MOST problem in life. Please let me also say that It may sound like I'm contradicting myself. Both of my videos have merit and the TRUTH is. In the beginning of you starting a new business if you NOT in a good Network of people hardly anyone is going to help you so EXPECT it. That is the main purpose of that video.